The second IPL match is going in between R Ashwin's Kings XI Punjab and Gautam Gambhir's Delhi Daredevils. After winning the toss KXIP skipper asks Delhi Daredevils to bat first. While playing the first inning Delhi Daredevils sets the target of 167 runs in front of home team KXIP. Now from KXIP side, KL Rahul and Mayank Aggarwal came to opening but soon Mayank Aggarwal got out. Then Yuvraj Singh came to bat, while Yuvraj was trying to set on the pitch, on the other hand, KL Rahul took the Delhi Daredevils bowler on his target. 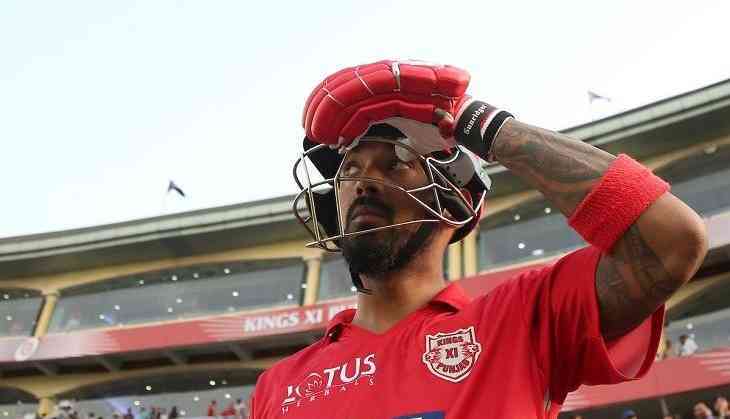 In the second match, KL Rahul broke the record of Sunil Narine of KKR by hitting the half-century in just 14 balls. With this, he became the top batsman on hitting the fastest half-century. Although just after two balls KL Rahul lost his wicket while playing a unique shot. He got out on Trent Boult's bowl and Mohammed Shami got his catch. Currently, Yuvraj Singh and Karun Nair are on the ground with the aim to achieve the target of 167 runs. Earlier the records were on the name of Sunil Naraine, Yusuf Pathan, and Suresh Raina. Birthday boy Allu Arjun trolled heavily for Naa Peru Surya's 'South India' dialogue, fans say change your Twitter bio! READ NEXT >> Birthday boy Allu Arjun trolled heavily for Naa Peru Surya's 'South India' dialogue, fans say change your Twitter bio!